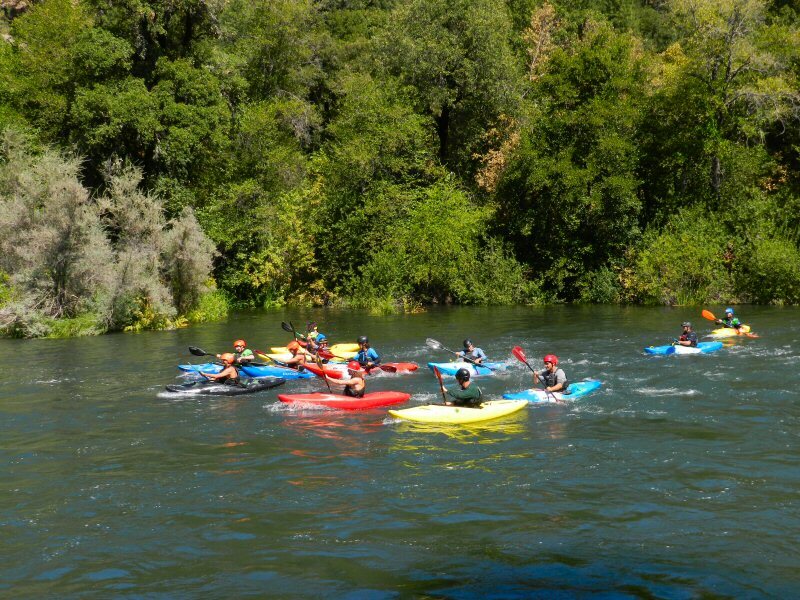 Donna Sylvester is offering an in-house kayak seminar at the Mt. Burney Theatre. It is scheduled for Saturday, March 31, 2018 at 1pm. Admission is free. 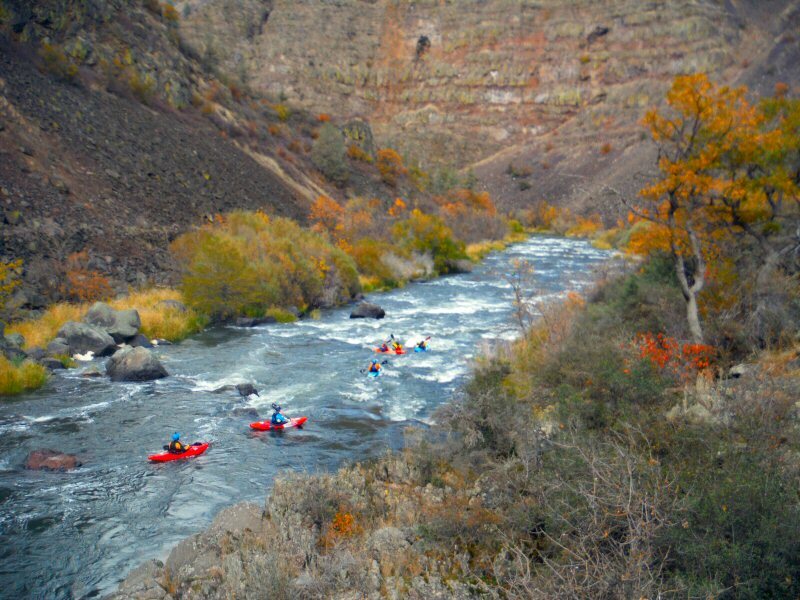 Subjects covered will be kayak safety, kayak types and selection, paddle types and selection, required gear, optional gear, great places to go kayaking around the Intermountain area and beyond, invasive species and your responsibility, effective strokes, mental health as it relates to kayaking and anything else you are curious about. This event is highly recommended for all because Donna is a seasoned adventurous and her slides are awesomely breathtaking. 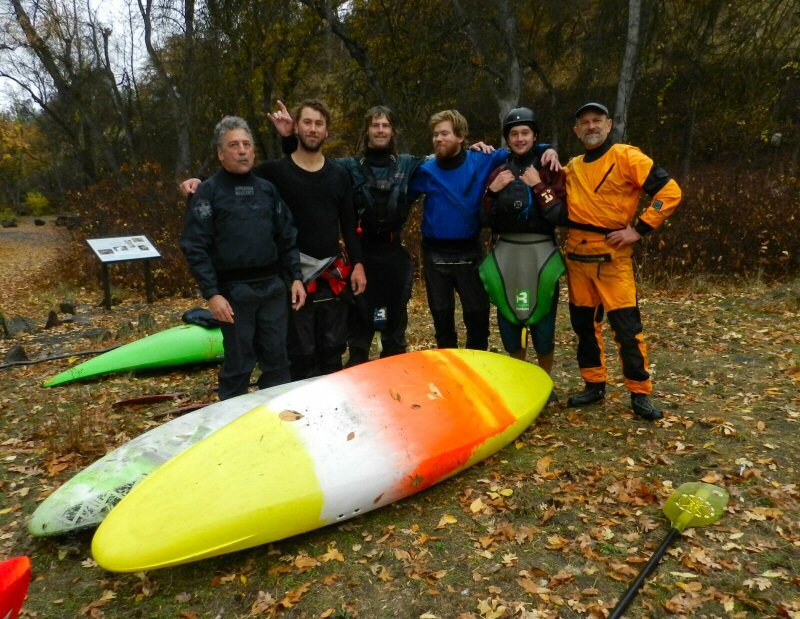 About 60 whitewater adventurers came to Pit River Country the weekend of October 29-30 for whitewater recreation on the Pit One Reach. Kayakers and rafters came from as far away as Alaska and Wyoming. Ages of participants ranged from 14 years old to 68. 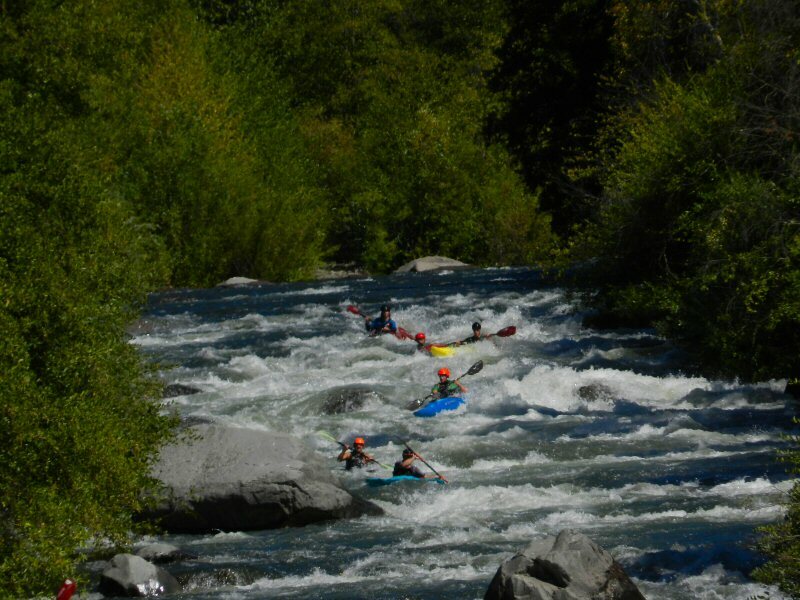 Every year, whitewater flows are required as part of PG&E’s license conditions for the Pit 1 Hydroelectric Project. The Pit 1 Reach is the 6.5-mile portion of the Pit River that extends from PG&E’s Pit 1 Forebay in Fall River Mills to the Pit 1 Powerhouse. On October 24, PG&E increased flows from about 200 cubic feet per second (cfs) to 800 to 900 cfs creating Class IV and V rapids . 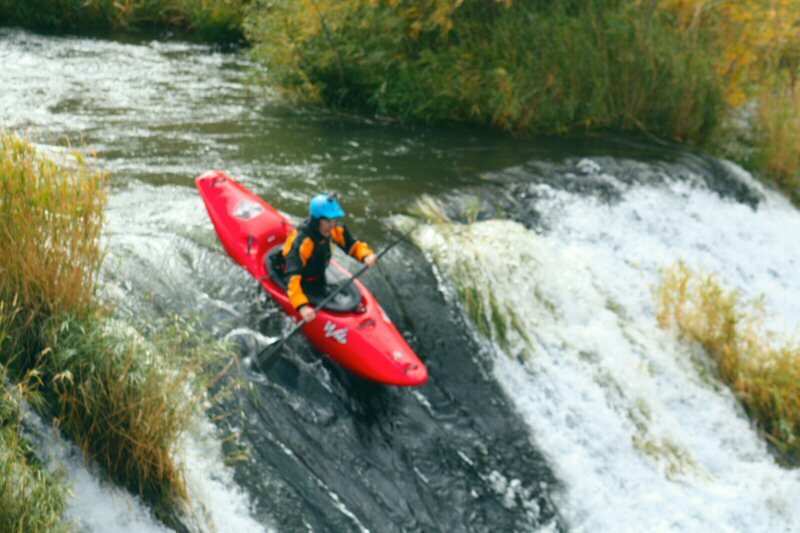 This provides a particularly exciting opportunity for kayakers and rafters because the section of the river includes Pit River Falls. 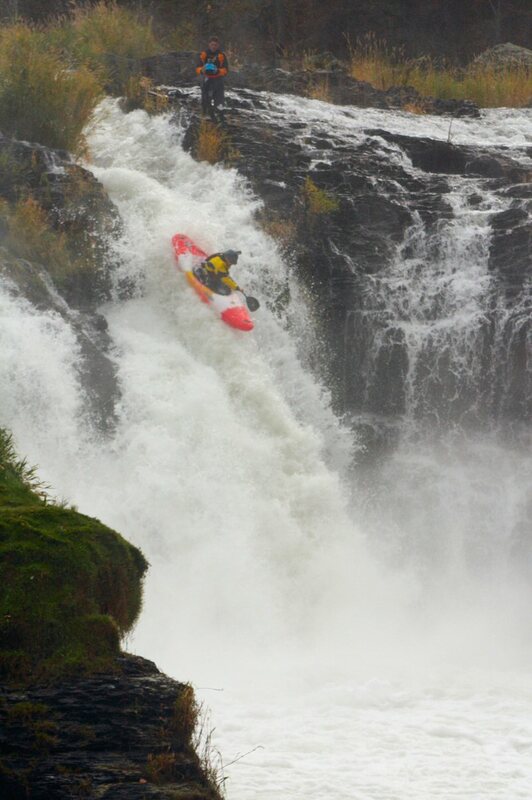 Some kayakers go over the falls. 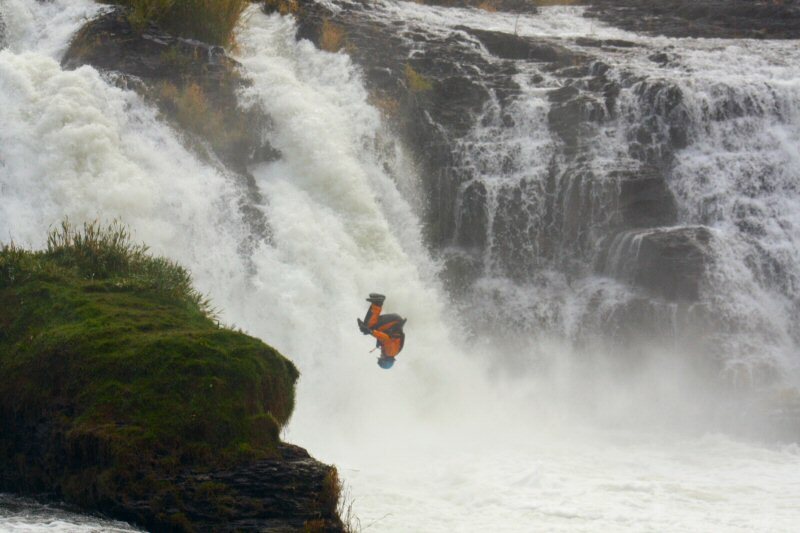 Some choose to ride the chute parallel to the falls. In either case it is an exciting ride. The stretch ends at the Bureau of Land Management Campground at Pit 1. 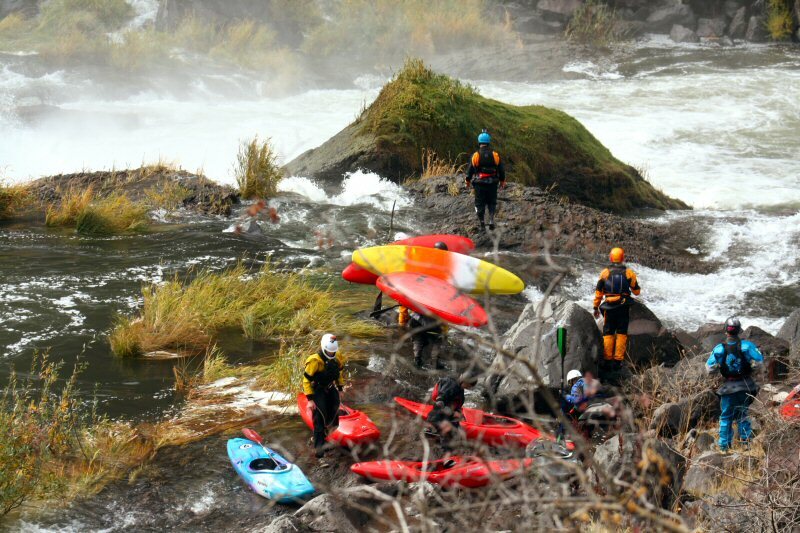 This was the second whitewater recreation weekend of the year on Pit 1 reach. The first event had been October 8-9. 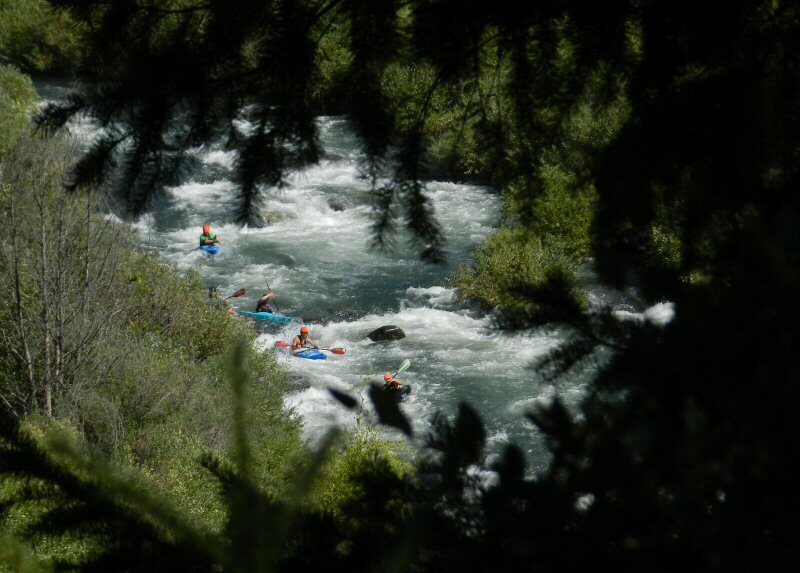 The scheduling of the event is a cooperative effort of PG&E, BLM and American Whitewater. Most of the participants come on Saturday and camp overnight at the BLM campground to continue their weekend of fun. On Saturday night many of the campers enjoyed a combination Halloween Octoberfest celebration. I wasn’t able to make the first event. Nor was I able to get there on Saturday the 29. Sunday was my last chance. When my wife Linda and I got out of church it was pouring rain. We drove to the campground to interview some of the kayakers. The first group I met consisted of Karen Guibault from Chico, Jami Rains from Sacramento, Sara Strader and Mary Elliot from Verdi, Nevada, Bruce Taylor from Reno, and Stephanie Viselli from Carson City and Christine O’Connor who had taken many wonderful pictures of the group’s escapades. Undaunted by the rain, they had finished their ride for the day and were enjoying a feast of leftovers from the celebration that they had had the night before. They kindly gave me a bag full of sauerkraut. 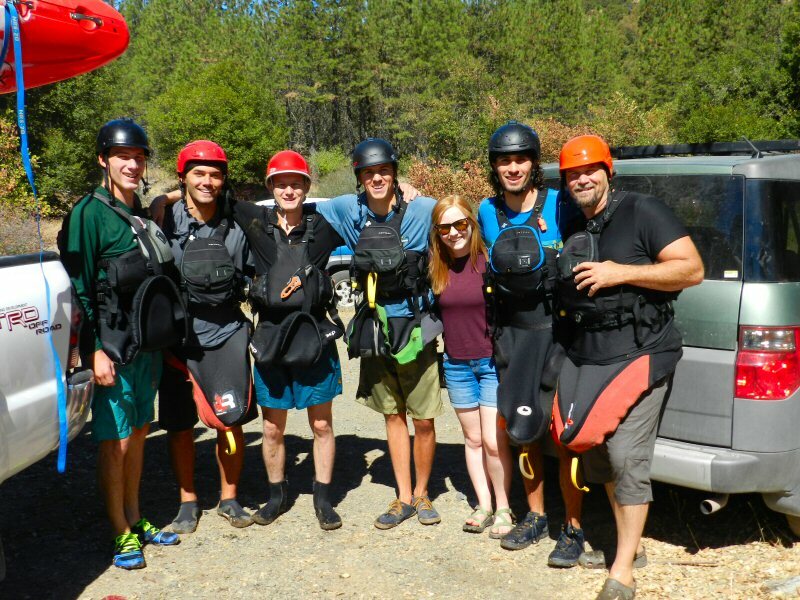 After a joyful chat, I headed down to the swimming hole where I met another group: Patrick Baird and Bird Sewett from White Salmon Washington, Brad Gossett from Alaska, and Riley Gardner from Jackson Hole Wyoming. 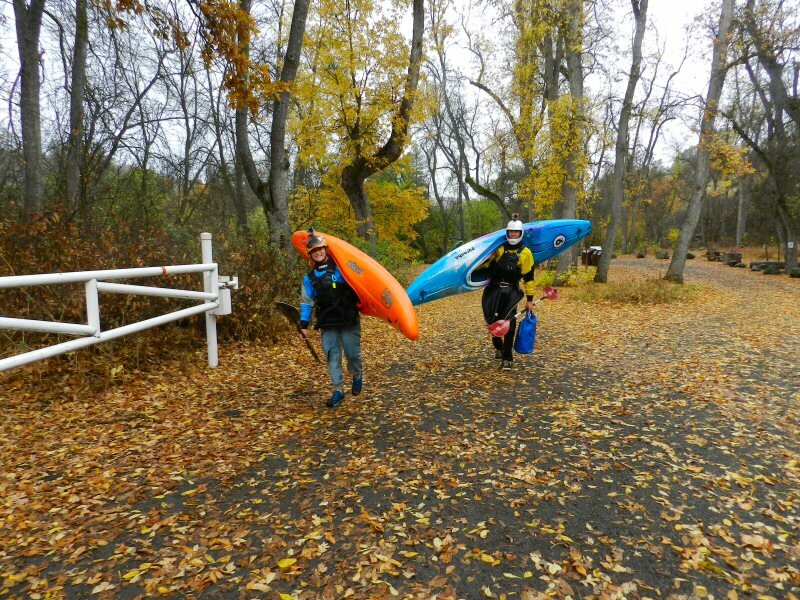 Then I saw two more trudging up from the river carrying their kayaks. 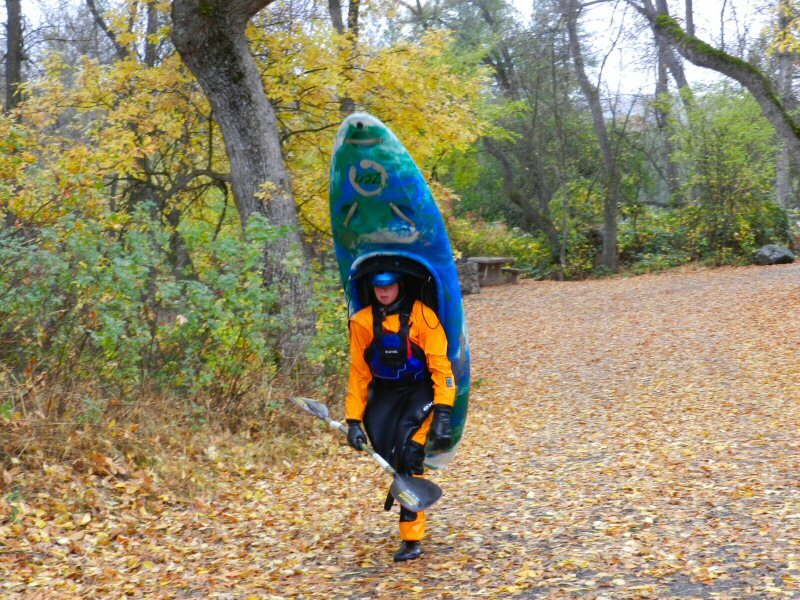 And last but not least 14 year old Nathan with his kayak on his back. They were done for the day. I was getting soaked and Linda was waiting in the car. There were a few rafters still on the river but they weren’t expected to arrive soon. Linda and I headed home grateful that we had been able to meet these wonderful whitewater enthusiasts of all ages and share just a taste of their excitement. Many thanks to Christine O’Connor for the wonderful action photos. 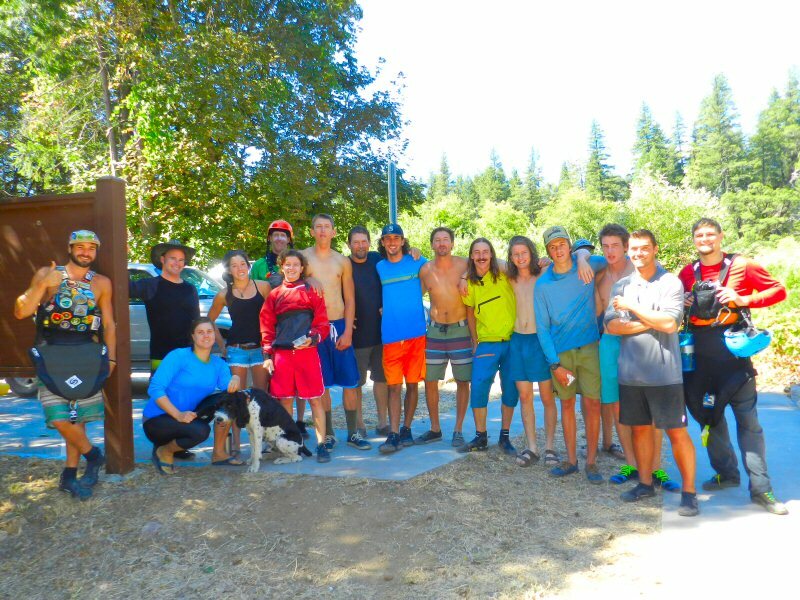 Saturday and Sunday September 10-11, PG&E again increased flows from Pit 5, thus creating another wonderful weekend of level IV and V rapids for whitewater enthusiasts. I left Burney late Saturday morning and arrived at Big Bend just before noon. I went straight to the parking lot where kayakers exit the river by the bridge. It was full of people who had completed their first run. The first person I met was Lauren Burlison from Redding. “Hi! I remember you from last year,” she said. 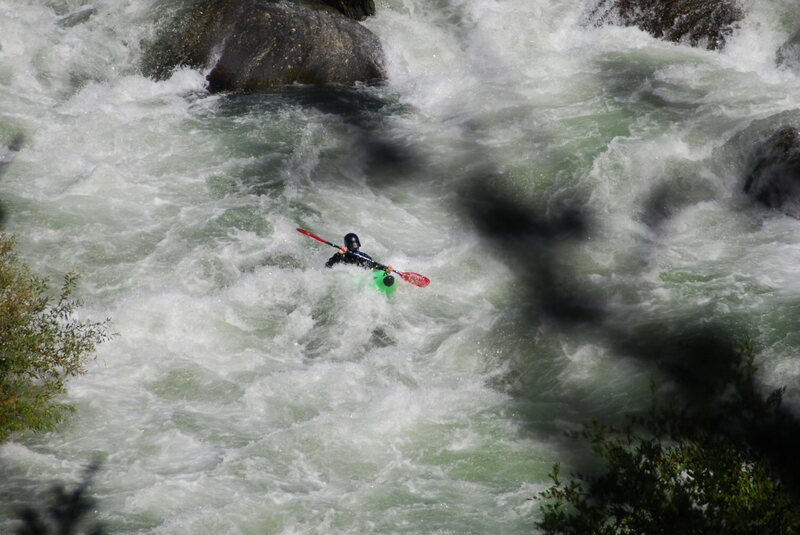 Burlison had returned with her friend Ian Janosko for another run on the rapids. Both are students at Simpson College in Redding. Burlison has one semester left before finishing a liberal arts major preparing her to be a teacher. Janosko is a nursing student. They came with a group of friends from Placerville. Janokso was planning to organize a race from the Madesi River Access. 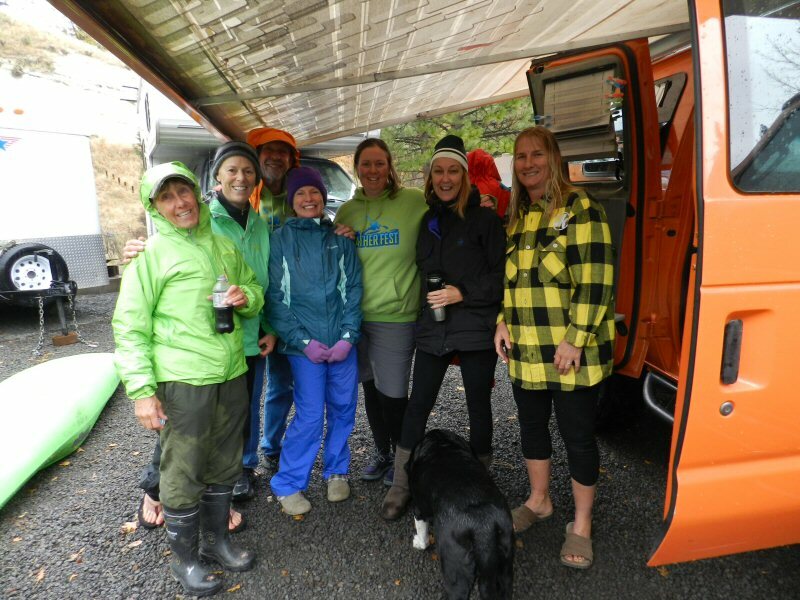 Before heading up to the Madesi River Access where the race was to begin I met another group of happy kayakers from Southern Oregon who had just finished their first run. When I arrived at the Madesi River Access, I met Susan Stalcut from Spring Rivers who was keeping track of how many people entered the river. As of 12:45 there had been 85 people on the river. Last month only 36 had signed up. Stalcut counted 59 kayaks and 6 rafts on her list. Most had come to camp for the weekend. Friday night, several local musicians and drummers from Big Bend had come to the campsite for an evening jam. As we were talking Nathan Stayrook Hobbs from Grass Valley and Nate Corona from Reno came in to get ready for their second run. Hobbs said that one of the other rafts had gotten stuck three times. It was an inexperienced crew with an underinflated raft, but they made it down to the bridge all right. In the meantime, Janosko was busy signing people up for the race. One of those present was a young daredevil, Rocco Russo from Cottonwood. Russo had been here last month riding down the river with a camcorder on his head. Russo has a video of him going over Lion Slide (Hatchet) Falls on youtube. Russo and one other kayaker volunteered to go downstream to make sure that everyone was safe at two of the more intense whitewater areas. Then thirteen racers entered the river and lined up with their sterns on the opposite bank. After watching the start, I headed down towards Big Bend. On the way there is an overlook where I caught a glimpse of the racers through the trees. As they passed below I could see that Janosko had pulled into the lead. I headed toward the bridge at Big Bend. When I got there, two PG&E employees had just finished measuring the flows. They told me their figure was 1275 cubic feet per second. Shortly thereafter, Janosko came around the bend. He screamed with joy as he passed under the bridge. Not far behind the remaining pack of racers descended. I was happy that I had been able to come and cover the race. The Spring River and PG&E employees were happy to see that there was a good turnout. The kayakers and rafters were happy just to be here. All very true. Pit River Country is wonderful. 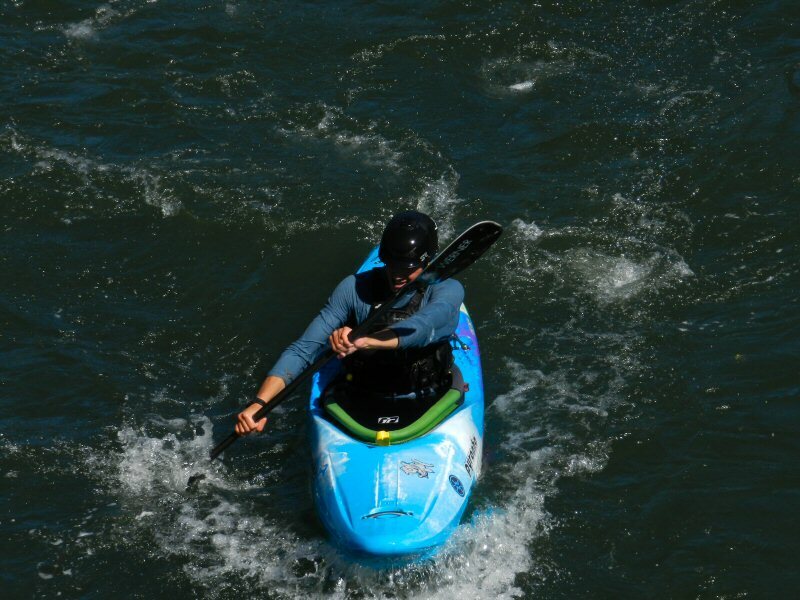 Kayakers would continue to enjoy additional runs through the afternoon on Saturday and then again on Sunday till 4 p.m. That would conclude the whitewater flows on the Pit 5 reach for 2016. 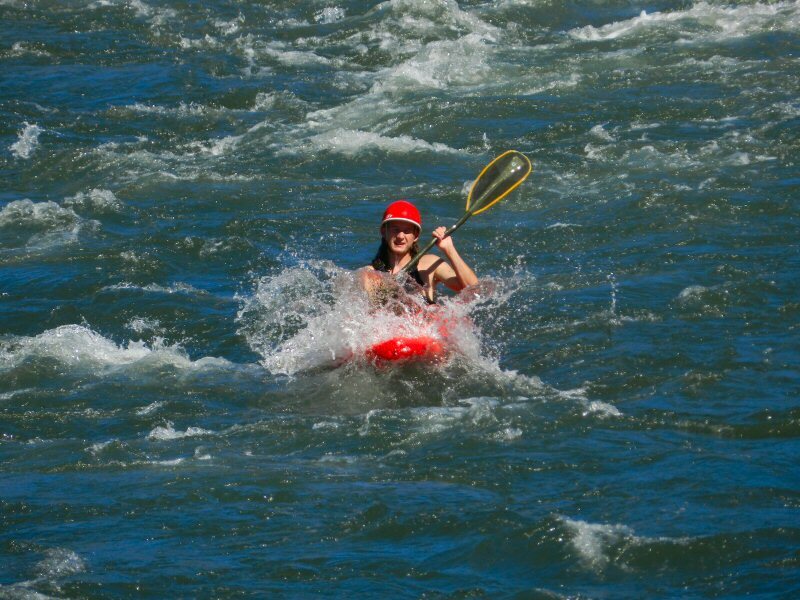 However, there is still more rafting to be had on the Pit River this year. 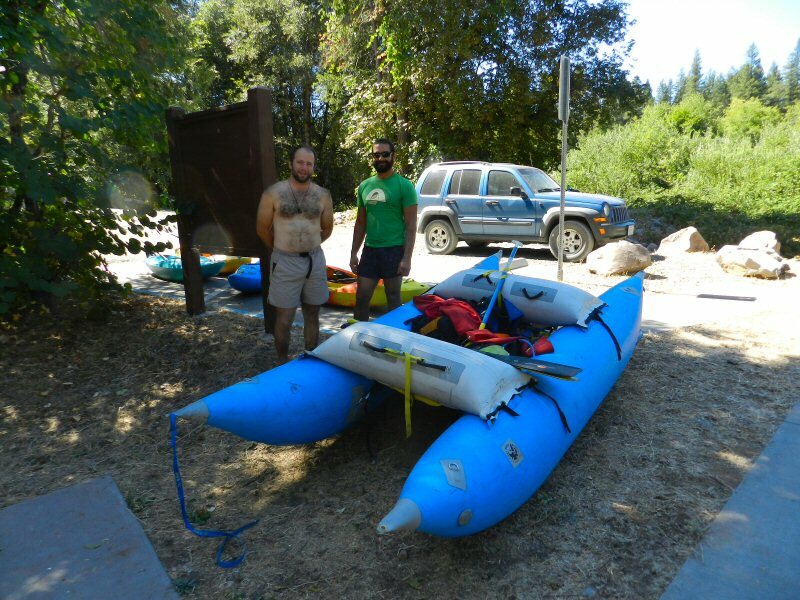 On the first and third weekends in October, PG&E will be increasing flows on the Pit River below Fall River Mills so kayakers can ride over Pit River Falls down to Pit 1 Campground.